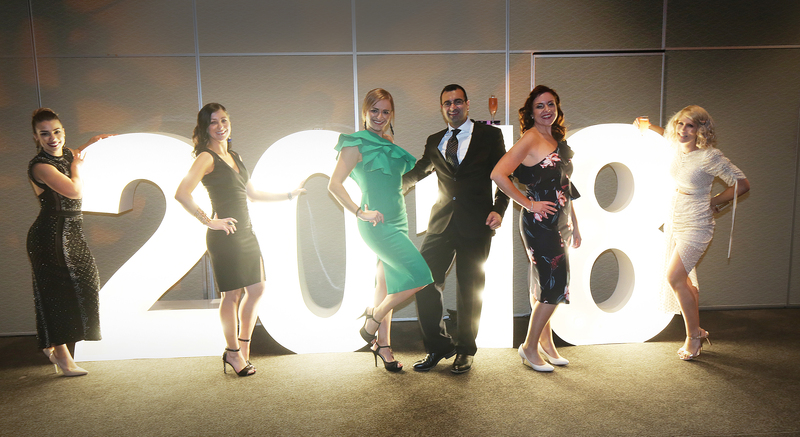 It was a night of glitz and glamour as more than 300 guests galloped into the Grand Pavilion at Rosehill Gardens for Western Sydney Local Health District’s (WSLHD) red carpet Quality Awards ceremony. The Quality Awards are held annually to commend the health heroes who are innovating and changing the game in healthcare in western Sydney and right around the world. whole of health program lead Leah Dawkins. Westmead Hospital’s emergency department clinical nursing unit manager Susan Barbosa and Blacktown Hospital’s business analytics and performance director Luke Elias hosted the ceremony for the second year in a row, the Sydney Jazz Collective entertained guests on arrival while guests took advantage of the social media props to take selfies using the #WSQualityAwards hashtag. Speech pathologists Sarah Drake, Bronwen Craig, Alison Battin and Kirsty Niven. WSLHD clinical governance director Luke Sloane congratulated the finalists and winners of the awards. “This year we received 45 entries that are changing and improving the way we deliver healthcare across our District. They’re all making a difference to patient care, safety and health outcomes,” Mr Sloane said. Team members from Westmead Hospital’s emergency department. WSLHD information technology officer Con Tsiavos. The NewsLocal People’s Choice Award winner was the ‘think before you bin it’ project, an initiative which has saved thousands in Auburn Hospital’s waste budget. The project received more than 3,700 votes. The District’s outgoing chief executive Danny O’Connor addressed guests for the last time as he prepares for retirement after more than three decades in public service and eight years at WSLHD. Guests took advantage of the glittery props on the night. “As you go forward through these extraordinary times of change, hold on tight to the foundational values that define our purpose and success,” Danny said. WSLHD board member Bruce Turner, Operations manager Amelia Oztopcu and Business partner operations, Angus McDowell.